Welcome to God's Country! Fiji. 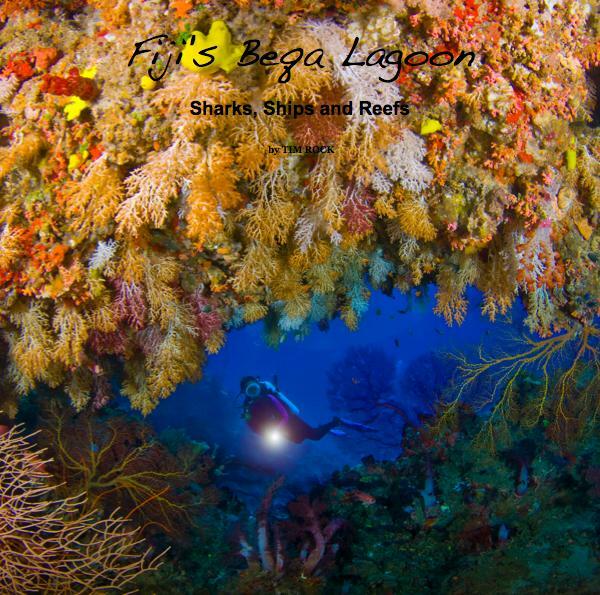 This beautiful full size hard cover book offers 200 pages and 316 photos above and below the sea in Beqa Lagoon and south Fiji. The photography is by internationally published photojournalist TIM ROCK. I can't even begin to tell you how proud we are! Timbo and I started hatching the plan last September and his latest visit was entirely dedicated to developing a "feel" for the Country and to capturing all the required images - which being the consummate professional he is, he did absolutely brilliantly! As well as the writing and the editing! Absolutely stellar - and yes, I am very very biased! You can preview it here and I strongly recommend that you use the "full screen" feature. BAD aficionados will discover many old friends, both above and below the surface - and newbies will get an excellent impression of what's awaiting them should they decide to visit our shores. All are in for a feast for the eyes. So what are you waiting for - go and get your copy!!! Thank you Timbo - we owe you big time! Don't quite know what to think about this. I like Rutzen, I like Cooper - not sure I like this. Guess I'll have to wait & watch 60 minutes. Patric is not letting go and I say, well done!! Several months after the fact, there's still no news about that Shark. Or is there? And if so, why is it not being released, the more considering the fact that this was one of last year's major, and I may add: self inflicted media disasters? Fishy business - or just the same old hubris? Just as a reminder of what this is all about. 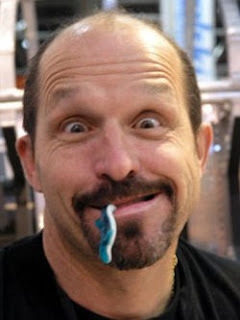 This is not about the professional qualifications of Michael Domeier as a scientist - in fact, I find his research interesting and I mostly like his interviews and the fact that he always tries to weave in a pro-Shark message. And his White Shark Symposium in Hawaii has been stellar. This is also not about whether SPOT tags are generally useful or whether the data collected are valuable, or not. This is about a fishing show where research was used as a pretext to go angling for record sized Great Whites within two marine parks. This is about the self serving and unethical mindset of the researcher who partook in it and the agency who gave the according permits, and the arrogance they displayed once it became clear that one of the animals had been grievously injured. This is about about the brutal procedures employed, where an endangered animal was hooked and subdued and then hoisted upon a naked wooden platform where it was left to fight for its life whilst somebody drilled holes into it. Tagging procedures and gear must be chosen in order to limit any possible harm to the animal. Like RTSea said at the time, if the tag required bolting on, it needed to be improved, or new attachment techniques needed to be devised. Others have invested the time and have come up with viable alternatives where stationary tags can be firmly attached "on the fly". 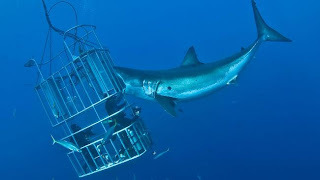 Instead, in this instance, the animal's welfare was disregarded in favor of filming a fishing show aimed at providing the public with a maximum of thrills watching intrepid anglers subdue monster Fish. Likewise, there was no need whatsoever to brutally manhandle the Shark onto the platform, let alone to hoist her aboard and torture her for 20 minutes. It is well established procedure to bring big Sharks to the vessel and to keep them submerged, often even in a soft cradle whenever applying tags - yes, including tags that need bolting on, as amply demonstrated here by Richard Fitzpatrick! This is about the need to finally abandon the antiquated view that research data are all-important and that they warrant treating animals as mere objects regardless of the consequences to them. And finally, this is about accountability. Domeier was not dragged, kicking and screaming, into the public domain - he himself chose to go there in the first place. Pity it didn't turn out as planned and that instead of the expected accolades, he got heaped with scorn once he botched it. It's high time to stop pouting, to man up and to accept the consequences of one's doing. If the Shark is alive and well - prove it. And if the Shark has died as the result of the injuries it has sustained, own up to your responsibility, apologize and learn the lessons that have to be learned. In case you have forgotten, this is what Accountability is all about. 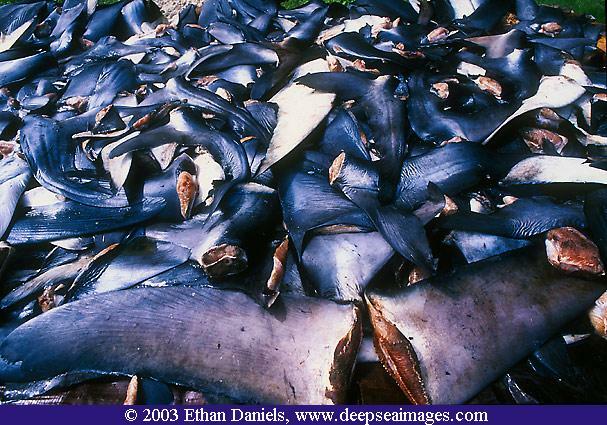 The shark finning news story was on the 6pm news. It came out great! They are keeping a running vote on the bill on the website to see how the public support is for the bill. The results will be broadcast this evening at 10 pm. We have 2 hours to boost this vote. Please chime in and pass this on to EVERYONE you know. PLEASE go the site and click on the "Cast Your Vote" on the right hand side. Above you can watch the shark finning piece. Vote here - video here. This popular vote could be very powerful. I can't believe 33.7% have already voted AGAINST the bill!!!! Did somebody say: regional efforts? Stefanie in Oahu has been campaigning relentlessly for pro-Shark legislation. As per the following, she is only inches away from success. Please extend all the help you can! Hi everyone, The nearly impossible happened today. After days of struggling we were nearly defeated. 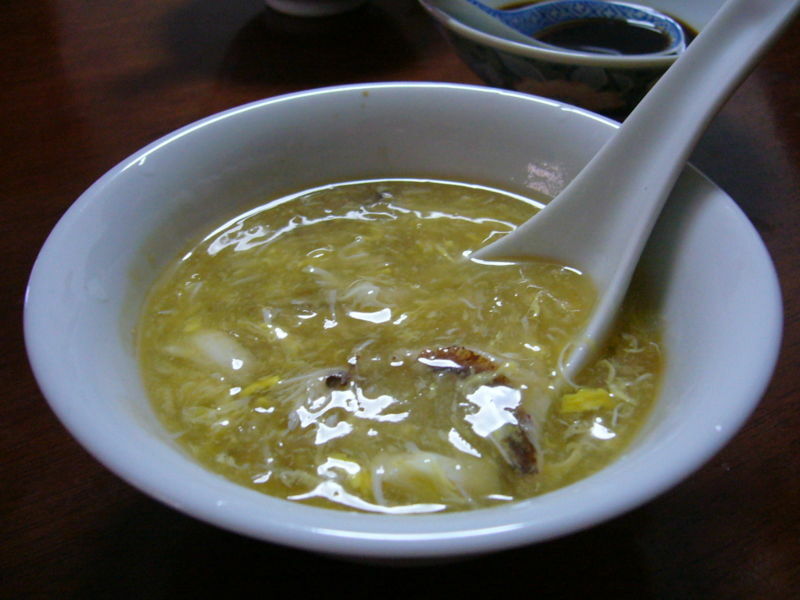 It seemed the shark finning bill had completely stalled and was going to die a horrible death because the committee chair didn't want to give it a hearing. But thanks to an overwhelming amount of letters and phone calls to the legislature, the committee chair has changed his mind and has added bill 2169 to the meeting next tuesday! This is awesome news, because we are back in the game and will now have a way to continue the fight. So THANK YOU to all of you who responded so quickly and wrote letters to Karamatsu's office. We can now lay off him and concentrate on the hearing. Please hang in there with me. We are sooooo close to making this happen. If this bill goes through, we will have been part of ground breaking legislature for the protection of sharks. This will make a difference not only in Hawaii. It will also help federal legislation in the US and will set a precedent that many countries can refer to or use as an example. How exciting would it be to have Hawaii as a brave little state that dared to pass something that nobody else would or could!? We have to come in with an overwhelming force of support, both in written testimony and in people attending the hearing. If you live on Oahu, please consider taking part in this hearing. It will be at the State Capitol, Conference Room 325 (3rd floor), 415 South Beretania Street on Tuesday, March 30, at 2:30 pm We can assemble in the hall way outside the conference room. Call me if you need more directions (778-6740). There is limited parking in the basement (entrance on Punchbowl St, right across from Queens hospital) or at the Queen Emma Palace, or street side parking around the neighborhood. Either place, you will need lots of quarters to fill the meters. You also have to submit written testimony 24 hrs in advance if you want to speak. But you don't have to speak if you don't want to. When they call your name at the hearing you can simply say "I stand on my written testimony", that way they will know that you have nothing else to say, but that you are there to support the bill in person. As a matter of fact, the committee does not want someone to get up and read the same letter that they had already submitted. I usually cover the logical and boring points in the written testimony and then try to cover an angle that someone else isn't likely to bring up when I get a chance to speak. We want to try to cover many different points of view. I have no delusions that this hearing will be easy, because we know that there is opposition in the House leadership that has tried to influence this committee to stall the bill. But if we have an overwhelming majority in support, then they will hopefully have to pass it out of this last committee. After that there will be a few more steps, but this one hearing is where we can have our last and most powerful influence to pass this bill into law. The Porbeagle decision has been overturned. This means that not a single one of the proposed Marine species has been granted protected status: not the Northern Bluefin, not the eight species of Sharks, not the 31 species of red and pink Coral. I obviously only watched, and ranted about the beta version! Here's another cut of what is basically the same footage: but boy, what an improvement! Good script, great footage, excellent narration and editing, a lucid and uncompromising synopsis of the principal problems without coming across as being overly maudlin - in brief, eminently watchable and an excellent resource for anybody wanting to highlight the topic! And just in case you may think that I've gone soft: it's 50, not 100! 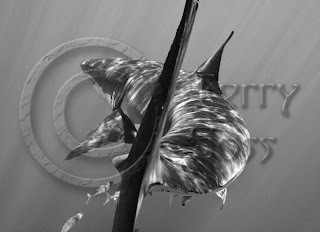 Not protected: Scalloped, Great and Smooth Hammerheads, Oceanic Whitetip, Spiny Dogfish, Dusky and Sandbar Sharks. Listed on Cites 2: Porbeagle. Lemme try and be clear about this one. 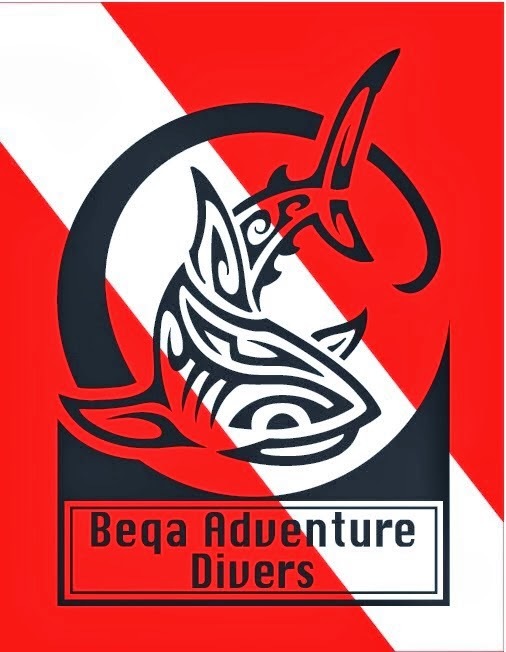 Absolutely, unequivocally, emphatically: not with Beqa Adventure Divers, ever!!! I feared something was brewing ever since some dude came to our booth at DEMA. He claimed to be some travel agent for Ritter (surprise surprise: I'm quoting CDNN - and boy, did they nail this one!) and our reception was, uh, less than welcoming. Looks like he then got lucky elsewhere. According to this website (bottom - and no, do NOT bookmark it!!! 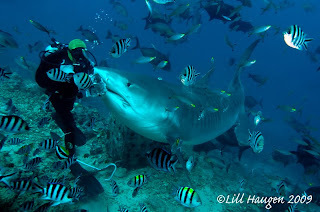 ), the only professional shark-human interaction specialist, or whatever, and his groupies are planning to come to Fiji next year. Howz this for conservation snake oil! Here's a piece of free advice to whoever may have taken that booking: You may as well kiss your reputation goodbye - the good news being that there's plenty of time to reconsider! I've said it before, we need to be credible. This is especially true since we lack the institutional power to sanction the changes we seek but instead, need to convince others of our viewpoints. That includes the media we produce. WildAid and especially, SOSF understand that and have produced some stellar PSAs. Oceana regularly produce excellent pro-Shark publications, latest of which this one for the CITES convention in Doha. This however is pathetic, sorry. What is it anyway: Greetings from the Doha Summer Camp?? Is this indicative of the caliber of the Oceana delegation? More about this once the conference is over. The proposal to list the Northern Bluefin under CITES 1 has been crushed. Makes you want to roll over & puke! That Country sure brings out the worst and the best! If you want to keep abreast of what's going on in Doha, please consult this informative website - or enjoy the toothy comments by Lesley Rochat! It's same-old same-old, with a defeat for Shark Conservation (good comments here) the latest bad news. Thank you China, Russia and Japan! This thing is for real! 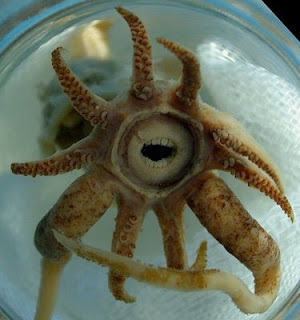 Found on the very cool Tree of Life! Tomas is on its way out. I just watched the BBC who reported on the current State of Emergency. 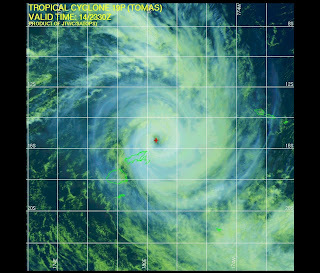 Tomas was a Cat 4 and has devastated the Northern and Eastern Divisions comprising the second and third largest islands, Vanua Levu and Taveuni, and the eastern hi-end tourist retreats like Wakaya and Laucala. Damages are likely to be very important and will be known as communication is being restored thanks to the heroic efforts of a few dedicated individuals. This is where the State of Emergency has been declared. Don't go there or at least, give a call to make sure that your individual destination is OK. The eastern side of Viti Levu where we're located and, hopefully, Beqa and Kadavu have largely dodged the bullet as the cyclone veered south from its predicted path at the very last minute. We had power and communications throughout, have stocked up on fuel and filled our tanks and are basically good to go. There's a curfew in place but I expect it to be lifted shortly, allowing us to resume normal operations tomorrow. I expect Wednesday's diving to be sub-par due to the surge but as winds subside, so will the swell and visibility will get better. The Western side has been largely unaffected, meaning that the Nadi airport is fully functional and that you can look forward to spending a fantastic holiday in Denarau, the Mamanucas and the Yasawas and also the Coral Coast. I don't like preaching to the choir. So, no I'm not about to bore you with yet another larmoyant piece about the decline of global Tuna stocks. Anybody interested in Marine Conservation knows that anyway. 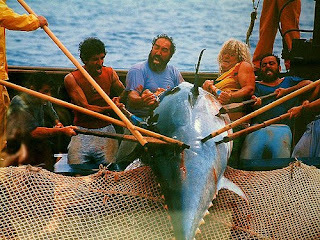 But if you should be the exception, you can read about the status of the various Tuna fisheries here. 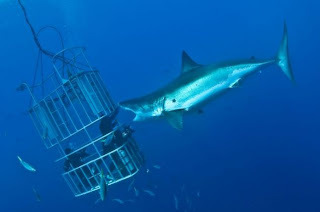 As you should know, CITES is meeting in Doha and, among other things, deciding about the fate of the Northern Bluefin. The situation is unequivocal (pdf here!) 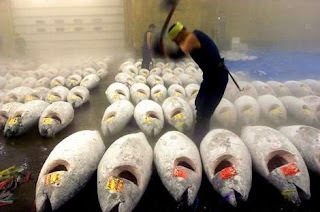 but alas, I'm not holding my breath that the news will be good as the Japanese are already engaging in the usual shenanigans and the Europeans are still not playing their role despite the fact that it is very much their own fisheries which are at risk of disappearing forever. Why I'm writing this post is because I want to showcase another one of Jon's stellar video clips, this time about pole & line fishing for Skipjack. This is one of the more selective and thus, more sustainable techniques, very much unlike the widespread usage of the devastating method of purse seining. So, without further ado: unbelievable images and fantastic messaging! 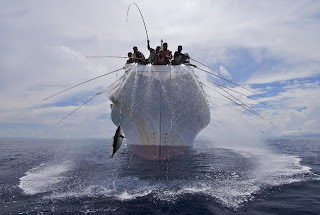 Pole & line Tuna Fishing from Jonathan Clay on Vimeo. I didn't believe that I would ever find it online - but here it is! 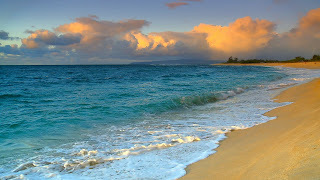 Jon has posted the Fiji clip of Fragile Paradise, his contribution to South Pacific by the BBC. I must say, this has been one of the highlights in the short history of our company, the more as Jon and cameraman Richard were as nice and humble as they come and a real pleasure to work with! 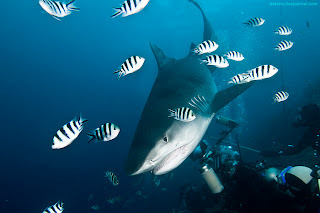 Fiji Shark Dive from Jonathan Clay on Vimeo. Scarface, by Sasha - click on it! Yes, believe it or not, we're still waiting for Tomas! Looks like we may have dodged the bullet as it may pass further to the east - fingers crossed! Anyway, I was just idly leafing through the web when I came across this remarkable post. It's old so you may have already seen it: somebody has ripped my Naughty File and boiled it down to a Tiger Shark dive featuring heaps of footage of Scarface! It's completely out of sync but having said that, I must approve of his choice of music - very relaxed and mellow, just like the big lady! Check it out and then, compare it to the original! Yup it's not a question anymore! Some dude in Lupe is wrangling Sharks for the photographers - and judging by this pic, he's not only stupid and disrespectful, but also pretty bad at what he does on top of it! Is that a hand in the mouth of that GW? From a shaking cage? Bravo George for having dug a bit deeper. Well I guess Tomas is nothing but a good Fijian. He's in no hurry whatsoever but just creeping along in Fiji time and gathering strength in the process - and vae victis when he finally decides to unleash! Time for one more pre-cyclone post. Walt Stearns' Underwater Journal has just published a lengthy piece about Shark Reef Marine Reserve featuring some stellar pics by Lill Haugen. Nothing really new for readers of this blog - but hopefully, a further contribution to spreading the word about our conservation initiatives here in Fiji. Thank you Walt for having given us this opportunity! Click on pic for better view: horrible! Fiji: batten down the hatches! This is really gonna get bad! Quick-quick before we batten down: I'm increasingly impressed by Pew. Not only because they're filthy rich, but because they very quietly (and one could say: humbly) sponsor some of the very best Marine conservation projects around and notably, excellent things for Sharks. In fact, if you looks further than what's being said at the surface, you can discern them behind the historical Palau Declaration and more recently, the decision by the Maldives to establish a Shark Sanctuary in all of their waters. The news could even get better if the UK decides to turn the Chagos Islands into a Marine Reserve as recently announced. 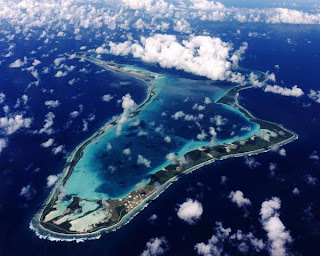 Chagos is the Maldives' southern neighbor and the resulting Shark Sanctuary would truly be of epic proportions - with the added bonus of Diego Garcia and the ensuing patrols by the British and Americans! The French did very much the same during the inglorious Mururoa episode and unwittingly contributed much to the present health of the Tuamotu Archipelago in the process. The Chagossians claim that they want to go home. "Home"? As in Madagascar, Mozambique and Mauritius? Or are they really aiming to resettle in the Archipelago in order to be economically nonviable and threatened by Sea level rise? Really??? Or may this be, horribile dictu!, merely about money and passports? In any case, this scribe fervently hopes that the clamoring subsides, that the Chagossians get their money, or whatever, and that Planet Earth gets its biggest Marine Protected Area! Keep an eye on the NZ Weather forecast! The Humane Society of the United States has taken on Shark conservation and instead of trying to re-invent the wheel like so many others, it has decided to join the Shark Free Marinas Initiative. 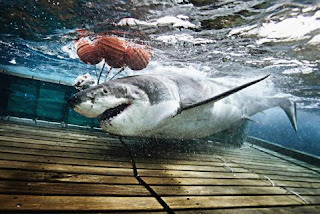 That is very much right down my alley, the more as I believe the SFMI to be a simply brilliant example for smart, efficient, effective and inventive Shark preservation. This truly is Conservation Bootstrapping at its very best! And at the risk of repeating myself: I remain perplexed at the fact that all those Sharkitarians haven't picked it up and spread it all across the world! Let us all look forward to a miraculous increase of registered US marinas and charter services! I found it here, along with a heroic tale of a man fending off a big GW. Would that be a camera with a wide angle lens? And somebody touching the Shark's nose to make her open her mouth, in order to capture one of those tooth-studded wideangle closeups? Or may it be even more stupid and disrespectful, as in plain & simple macho bravado? You know what this is about - right? 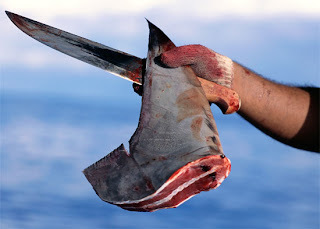 The shark finning bill has moved one step further. It survived the Senate vote and crossed over to the House. Hearing date for the first committee is Tuesday 3/9/2010. This is great, because that means it is moving quickly, which is important, because it has to make it through 3 committees by March 19. It also means there is hardly any time to send in testimony since it should be submitted 24 hrs before the hearing. That means Monday morning. Testimony from previous hearings in the Senate are no longer attached to the bill, so we have to start over. That means you can send in the same testimony you wrote before. McKelvey said the more variety and different angles we cover the better, so feel free to write your own personal reasons why this bill is important. You do not have to stick with the global conservation issues only. If you live in Hawaii and have personal experiences, go ahead and state those. 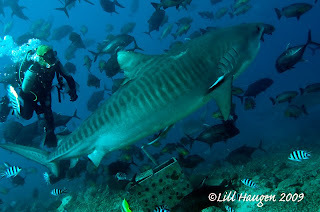 Maybe you want to save the ocean for your kids, or maybe you are a diver and want to prevent a loss of bio diversity. 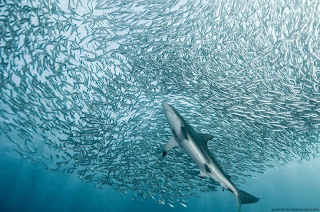 If you like fishing you can say that you want to protect sharks because they will keep the fish populations healthy. You can also state moral reasons why finning should be stopped. Also, if you keep it shorter, and make one or two points instead of covering all the reasons you can think of, it will be more likely that your statement will actually be read. VERY IMPORTANT - INCLUDE THIS INFO AT THE BEGINNING OF LETTER! I know this is short notice, especially since it is the weekend, but if you can get it there before Monday 8am Hawaii time, it will be part of the hearing record. Even if it gets there later, I am sure they will try to include it, it just won't be guaranteed. Thank you for your time. 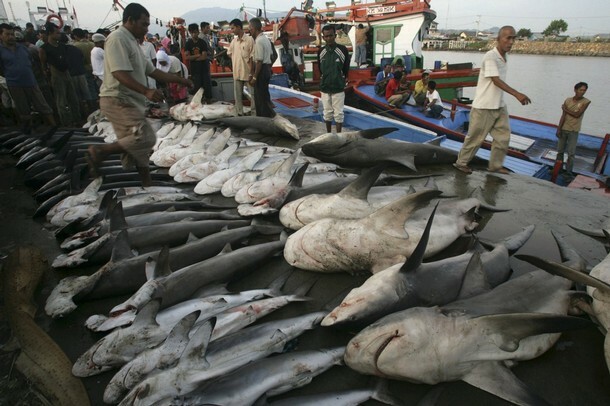 Just remember that this bill is a HUGELY important step for shark conservation. It will be the strictest protection sharks have seen in any US State so far. It will also help pass legislation in other US States. Sorry for neglecting the blog! It's just that we're currently incredibly busy with projects and then, I got sidelined into trying to formulate a major policy post in an acquired language. Challenging and time consuming to say the least! In any case, there's much to report - this week, promise! See the pic above? Click on it! Fabulous! That's the Best of Show of the 2010 iDiveSharks Imaging Festival - and did, or did I not tell you that we needed to keep an eye on Sasha? Did you click on the last link: is that a photo blog - or what? Well, with us being the sponsors of that prize, we'll have the pleasure to welcome him back sooner rather than later - the more as he now lives in Hong Kong and will thus be able to profit from Air Pacific's newest direct flight at unbeatable prices! Can't wait, it's been far too long! And more than that: the Best Wide Angle is a portrait of a Fiji Bull Shark, Nick, by our friend Sam, and the Best Portfolio includes my favorite pic of Scarface, by our friend Terry! Bravo guys - yer making Fiji proud!